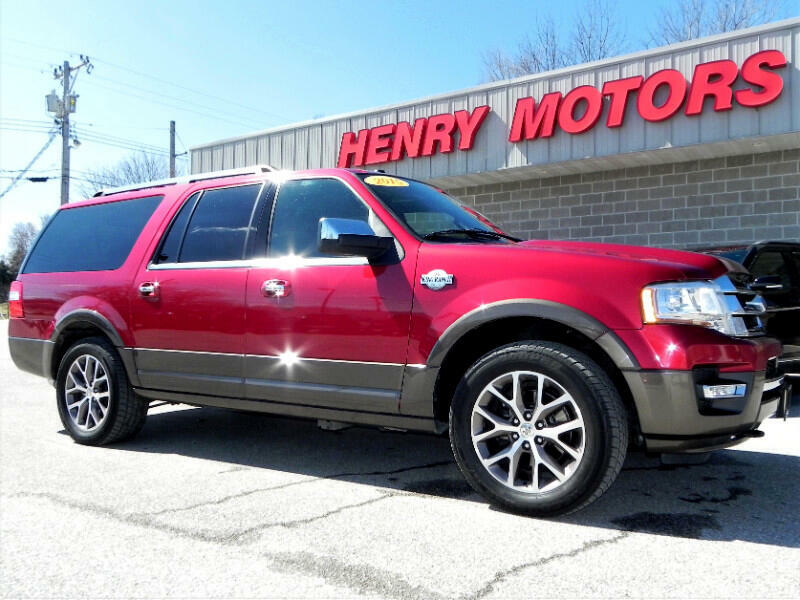 This is a very clean, 1-owner Expedition EL King Ranch edition. It features dual DVD players, navigation, power running boards, heated & cool seats, heated second row seats, a sunroof, premium sound system, forward collision warning, a back-up camera, power folding 3rd row, power adjustable pedals, power telescope steering wheel and trailer brake controls with tow package Call for availability. Instant, over-the-phone credit approvals. Low APR financing. Trade-ins welcome. Call or stop by today for low pressure test drive. It’s been through our 100+ point mechanical & safety inspection. And, we pride ourselves in offering HIGHEST QUALITY pre-owned vehicles. Be confident with your decision because, in addition to a free CarFax History Report, this vehicle has been serviced by our ASE certified mechanics. Any remaining original manufacturer’s warranty is valid, see dealer for specific warranty details. A comprehensive Extended Vehicle Warranty is available too, please ask your Finance Manager for details. For complete details and to check availability please call, or stop in for a low-pressure test drive today. Over-the-phone credit approvals are available.